Authors: Ravi Jagadeesan, David Spivak, Tristan Giesa, and Markus Buehler. The Matriarch project began in the summer of 2013 as an RSI project hosted by the Laboratory for Atomistic and Molecular Mechanics at the Massachusetts Institute of Technology. Ravi Jagadeesan created the Matriarch program library under the supervision of Prof. Markus J. Buehler, Dr. David Spivak, and Dr. Tristan Giesa. The Matriarch project is an extension of the work pertaining to the connection between materials science and category theory that David, Tristan, and Markus have been establishing for the last few years. 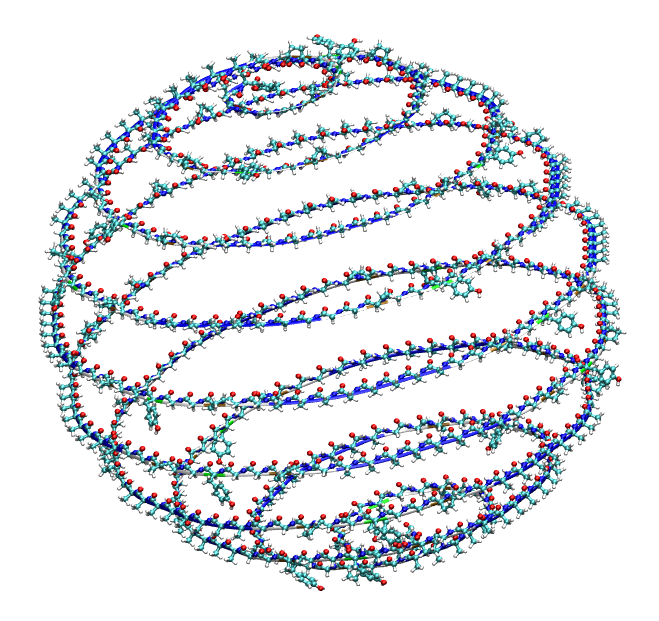 The project idea was to design a program that would use the mathematical framework of operads to produce hierarchical protein materials, such as collagen. Within a few months the Matriarch program was born. Matriarch is an open-source Python library and is intended to be modified, extended, and shared (subject to the Creative Commons License). Matriarch by Jagadeesan, Spivak, Giesa, and Buehler is licensed under a Creative Commons Attribution 4.0 International License.